The Supreme Court today modified the sentences of Vikas Yadav and his aide Sukhdev Pehlwan convicted in the sensational 2002 Nitish Katara murder case. High Court has imposed a fixed term sentence, i.e., 25 years for the offence under Section 302 IPC and 5 years for offence under Section 201 IPC with the stipulation that both the sentences would run consecutively. Today a bench of Justices Dipak Misra and C Nagappan have disposed of the Appeal with the singular modification in the sentence i.e. the sentence under Section 201/34 IPC shall run concurrently. With the modification,Vikas to undergo a sentence of 25 years while Pehlwan to serve 20 years jail. "We do not accept the argument of the petitioners that the High Court has no power to grant such a sentence without remission but accept the argument that punishment for murder and destruction of evidence need not run consecutively.....consequently we make it concurrent", ruled the bench. The court was pronouncing the verdict on the appeals filed by Vikas and Pehlwan against the Delhi High Court order which had enhanced the life term to 25 years in jail without remission and an additional five years for destruction of evidence in the case by terming the murder of Katara as “honour killing”. Yadavs' acquaintance Sukhdev Yadav alias Pehelwan was also awarded an enhanced life sentence of 25 years without remission by the court which held that the crime fell in rarest of rare category, but saved them from the gallows saying possibility of their reformation and “rehabilitation is not unforseeably foreclosed”. 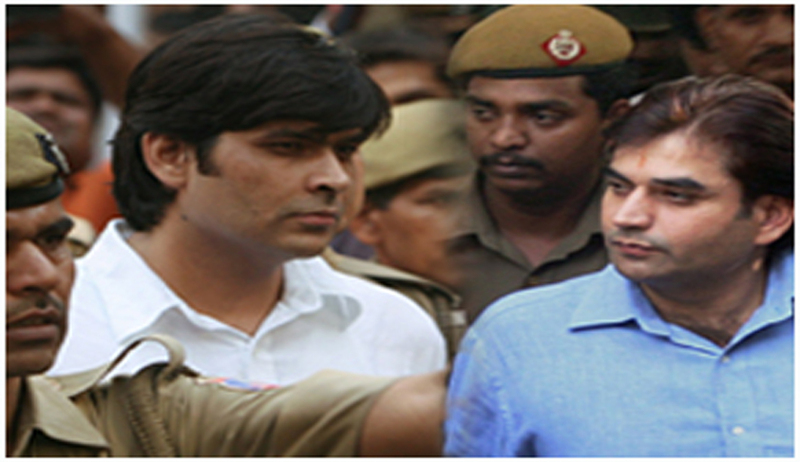 The Supreme Court had on August 17, 2015, upheld the conviction of Vikas, his cousin Vishal Yadav and Sukhdev. While upholding the conviction, the apex court had said that it will separately consider hearing pleas on the limited aspect relating to enhancement of quantum of sentence of the three convicts by the High Court. It, had, issued notice to the Delhi government on the scope of punishment and sought the reply within six weeks. Earlier, the high court had held that the murder of Katara, who was in love with Vikas's sister, was an honour killing which was done in a very carefully planned and premeditated manner with extreme vengeance. It had also enhanced the fines imposed on Vikas and Vishal by slapping an amount of Rs 54 lakh each on them, to be deposited in the trial court within six weeks. Vikas (39), Vishal (37) and Sukhdev (40) were serving life term awarded by the lower court in May 2008 for abducting and killing Katara, a business executive and the son of a railway officer, on the night of February 16-17, 2002, as they opposed the victim's affair with Bharti, daughter of Uttar Pradesh politician D P Yadav. The high court had on April 2, 2014, upheld the verdict of the lower court in the case by describing the offence as honour killing stemming from a deeply-entrenched belief in caste system.